In our last article, we explored how trademark and copyright clearance is handled for film and television projects. In this article, we examine how rights clearance has altered in the “digital age” for so-called “new media” projects. One recent example of a “new media” project gone awry comes from the successful home exercise company Peloton. Peloton creates high-end stationary bicycles with built-in screens that allow users to stream fitness classes while exercising. Peloton’s streaming classes are known for their high energy and for the various popular music used in the videos during the workouts. Needless to say, these allegations – if proven true – could have a major detrimental impact on Peloton. These examples show the critical importance of trademark and copyright clearance for startups, tech companies, and even individuals involved in “new media” projects. As discussed in our last article, navigating rights clearance in “old media” can be a major challenge for production companies. That being said – if anything – navigating rights clearance has become even more difficult for content producers in “new media” projects including YouTube, Facebook and Instagram projects. This is particularly true given the widespread availability of technology. In the not-so-distant-past, content creators had to use large, expensive and cumbersome technology to take photographs and record audio / video. Today, however, legions of content creators can use a simple smartphone to capture and create content – multiplying the potential copyright and trademark issues involved for such creators. Step One – create an inventory of all the literary, visual and auditory elements that will be involved in the final cut of the project. category four – elements in the public domain, i.e., elements which are not “owned” by anyone. Step Three – protect elements in category one while securing ownership / licenses for elements in categories two and three. Step Four – repeating Steps One through Three at each stage of the production process (e.g., during final screenwriting, pre-production, filming, editing and post-production). The application of these four steps to new media projects is similar in structure to traditional film/television projects. That being said, there are some issues which are more characteristic of new media projects. Several such issues are explored below. Trademark and copyright clearance in new media projects should follow the same general process as trademark and copyright clearance in traditional media projects, i.e., the four steps outlined above. Many such elements should be immediately obvious to content creators. For example, using a third party’s songs, video clips or photographs in a new media project should raise an immediate red flag – and should compel a content creator to seek a proper license depending on the nature of the use. no other uncleared visual elements (e.g., the ketchup bottle on a restaurant table or the clothing on a store rack) were visible in the shot. Contrastingly, new media projects are rarely created “on the lot” – and, instead, are usually filmed on smartphones or commercially available digital cameras in public places. Notwithstanding this, a litigation-warry new media project creator should still be mindful of avoiding such elements. in an effort to avoid a copyright infringement claim by Disney. Despite potential other claims, Disney chose to simply ignore the film. While this litigation gamble paid off, other new media projects have been less fortunate (such as the instances discussed above regarding Peloton and President Trump). If the goal of a new media project is to be successfully distributed in theaters / on television, content creators should be aware of and seek to minimize these potential issues. Under the Copyright Act, 17 U.S.C. § 107, a content creator has a right to make “fair use” of a copyrighted work “for purposes such as criticism, comment, news reporting, teaching… scholarship, or research….” This fair use exception provides fertile ground for content creators working on YouTube, Facebook, Instagram and other new media projects to properly use third party copyrighted content without needing to secure a license. quoting from books / articles as part of an ITUNES® podcast series conducting book reviews. By way of illustration, using Facebook Live to stream a car accident involving a COCA-COLA® delivery truck should count as a form of citizen journalism, i.e., “news reporting” under the Copyright Act. A content creator should be free to live stream such video without fear of potential third-party rights (e.g., trademark rights in the COCA-COLA® brand which is prominently displayed on the truck). Chiefly, this is because the accident is unfolding in “real time” and constitutes news. 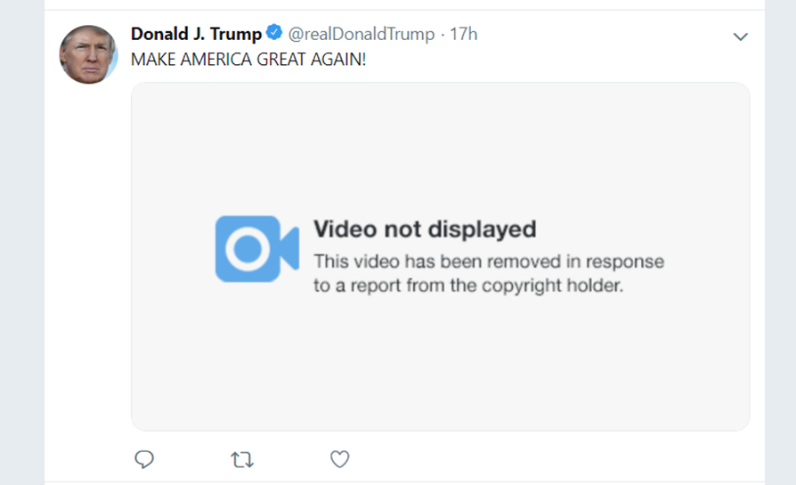 By contrast, imagine an amateur filmmaker incorporating a copy of this exact same video clip into an independent film about a disgruntled Coca-Cola Company employee who deliberately stages an accident. While the issue concerns the exact same video clip, such a filmmaker’s use no longer has the “new” dimension of “news reporting” – and should be done only after securing consents from the Coca-Cola Company in order to minimize the risk of an electronic takedown notice (which could delay or halt online distribution) or a cease and desist letter / lawsuit (which could delay or halt traditional distribution). If you or your company need help with clearances or securing options, licenses, releases or other intellectual property matters regarding new media projects such as YouTube videos or social media videos / photographs, call us today for a free consultation.